Here’s another tip for another Friday. We receive a lot of questions about merging some 2D elements into 3D designs. 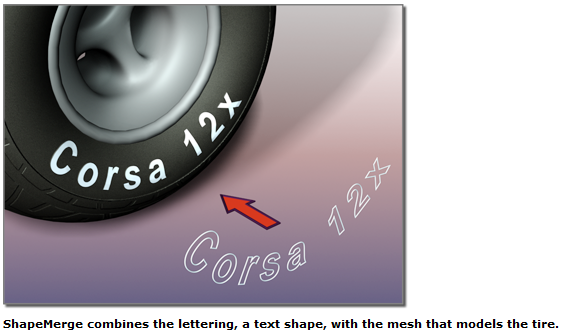 For example, if you wanted to add lettering to a tire like below. Shape Merge projects a 2D elements (the tire’s lettering) onto a 3D element (the tire), and cuts the mesh so it can be further modeled or materials can be added to the lettering. I hope this short video helps you get creative and explore the capabilities of Max. Come back next week and I will have another Friday Max tip ready!